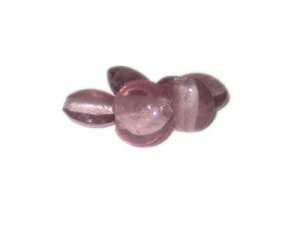 These are 16mm Light Plum Foil Handmade Lampwork Glass Beads, 5 beads. I ordered on a Saturday and received it Monday. Love the priority Shipping.The beads are wonderful. Working on my second order!!! !